01. Yuriko Kaida – Otome no Komoriuta (2:12), 02. Prologue -Yume no Tobira wo Hiraite- (1:47), 03. Otome no Waltz (1:42), 04. Hajimete no Machi, Suteki na Deai (1:39), 05. Kibou no Miyako, Vintoblum (3:08), 06. Gokigenyou (1:59), 07. Sore wo iu ka Mashiro (1:04), 08. Kegare naki Itazura (1:18), 09. Kiyoku, Tadashiku, Takumashiku (2:08), 10. Karei naru Makimaki-sama (1:08), 11. Rojiura no Tsuiseki (2:04), 12. Shimikomu Nibi (1:38), 13. O-To-Me Kourin (1:47), 14. Shukuteki (2:34), 15. Makenai Kokoro -Orenai Tsubasa- (1:02), 16. Mai (3:02), 17. Mayonaka no Sanposha (1:31), 18. Yuri Kasahara – Materialise (3:41), 19. Hajimari no Toki (1:50), 20. Nisshutsuzuru Tokoro no Tenshi (2:17), 21. Kazurin no Koi (2:10), 22. Otome ni Naru Mon! (1:21), 23. Shizuka na Egao (2:16), 24. Haha no Komoriuta (2:10), 25. Mika Kikuchi – Hoshi ga Kanaderu Monogatari (4:02), 26. Oyasuminasai (1:36). 01. Yuriko Kaida – Ikusa Otome -Aoi to Kuro no Kyousoukyoku- (3:08), 02. Houkago no Manabiya -Akashiya no Chikai- (1:41), 03. Oujo no Kyuujitsu (2:42), 04. Sore wo Yaru ka Arika (1:05), 05. Run! Cat! Run! (1:08), 06. Yuriko Kaida – Lilac -Utsukushiki Chigiri- (2:59), 07. Koigokoro (1:46), 08. Mou Hitotsu no Happy Ending (1:41), 09. Otome no Yuuutsu (1:20), 10. Kindan no Hanazono (1:17), 11. Harimegurasareta Kuroi Ito (1:17), 12. Yami no Shuryousha (2:12), 13. Mienai Rinjin (1:01), 14. Himitsu no Tantei Gokko (1:12), 15. Omachinasai! (1:07), 16. Zipang (1:56), 17. Yume he no Kakehashi (1:13), 18. Sajin ni Kureyuku (1:51), 19. Unmei no Kodou (1:18), 20. Kyuusai to iu Na no Rinryaku (2:28), 21. Zankoku na Mai -Nozomanu Tata- (2:57), 22. Yuriko Kaida – Chiisaki Doukeshi (4:17), 23. Yuriko Kaida – Hinageshi no Hana no you ni (3:21), 24. Yuriko Kaida – Sei Otome no Inori (3:35), 25. Ami Koshimizu – Hoshi ga Kanaderu Monogatari (4:02), 26. Tooki Hi no Komoriuta (2:29). 01. Dream☆Wing (4:09), 02. Anata Ga Soba Ni Iru Dake De (4:28), 03. Dream☆Wing [Instrumental] (4:09), 04. Anata Ga Soba Ni Iru Dake De [Instrumental] (4:29). 01. Crystal Energy (4:06), 02. Kaze to Hoshi ni Dakarete… (4:06), 03. Crystal Energy [Instrumental] (4:06), 04. Kaze to Hoshi ni Dakarete… [Instrumental] (4:06). 01. Otome wa Do My Best Desho? (3:36), 02. Happy Friends Project (3:13), 03. Mika Kikuchi, Ami Koshimizu & Yukana Nogami – Hoshi ga Kanaderu Monogatari (4:02), 04. Otome wa Do My Best Desho? [Instrumental] (3:37), 05. Happy Friends Project [Instrumental] (3:14). 01. Hanjuku Heroine☆ (3:45), 02. Sekaijuu ga Yume ni Nare (4:04), 03. Hanjuku Heroine☆ [Instrumental] (3:43), 04. Sekaijuu ga Yume ni Nare [Instrumental] (4:00). CD 1> 01. Dream Wing (4:12), 02. Otome wa do my Best Desho? (3:39), 03. Anata ga Soba ni Iru Dake De (4:32), 04. Hanjuku Heroine (3:48), 05. Happy Friends Project (3:17), 06. Sekaijuu ga Yume ni Nare (4:07), 07. Crystal Energy (4:09), 08. Kaze to Hoshi ni Dakarete… (4:09), 09. Otome wa do my Best Desho? [Mellow Version] (3:41), 10. Hoshi ga Kanaderu Monogatari [Full Version] (5:01). CD 2> 01. Takeru Sora – Yuragu Daichi (2:45), 02. Shin Naru Mezame (2:16), 03. Hime (2:04), 04. Harmonium (1:46), 05. Horobiuta (1:30), 06. Shinshoku… (1:17), 07. Otome Mau – Sei Naru Maitou (1:51), 08. Yuriko Kaida – Otome no Kyouen (3:08), 09. Otome no Yakusoku (2:07), 10. Tsuki no Guuwa (2:21), 11. Yukana Nogami – Hoshi ga Kanaderu Monogatari [Mashiro Version] (4:05), 12. Yuri Kasahara & Hanae Tomaru – Mai Otohime Saga-Memorial Medley- (12:46). 01. Believe -Eien no Kizuna- (4:17), 02. Storm (4:54), 03. Egao nno Iro wa Niji no Iro (4:23), 04. Otome wa Do My Best Desho? -2007 Version- (3:36), 05. Otome wa Do My Best Desho? -Hime Version- (3:43), 06. Otome wa Do My Best Desho? -Otome Version- (3:46), 07. Believe -Eien no Kizuna- [Instrumental] (4:17), 08. Storm [Instrumental] (4:54), 09. Egao nno Iro wa Niji no Iro [Instrumental] (4:23), 10. Otome wa Do My Best Desho? -2007 Version- [Instrumental] (3:37). 01. Prologue (2:58), 02. Fork in the Road of Destiny (7:04), 03. Arika, it becomes Otome (6:20), 04. Hello Baby (7:07), 05. Backstage Kitan (8:27), 06. Whim Rendezvous (8:17), 07. Ultra Bust-Impact (8:26), 08. Holiday of Aoi (8:53), 09. Natsuki Kruger Memoir (10:30), 10. Epilogue (2:21). 01. Prologue (2:23), 02. Striped Strongest Legend (8:36), 03. Lost Flow (9:47), 04. …To One Clients (7:50), 05. Mischief Maiden (8:22), 06. All the President’s Men (7:05), 07. With Love From Arika (7:52), 08. Story The Stars Play (8:55), 09. Viola Memoir (9:25), 10. Epilogue (2:39). 01. Wakana Ootaki – Historia: Opening Theme (2:04), 02. Yuriko Kaida – Secret Episodes (2:09), 03. One Morning… (1:27), 04. Hanae Tomaru – Frenetic (3:54), 05. Dawn is Falling (2:24), 06. Dance of the Time (1:52), 07. Wakana Ootaki – Where I Stand (2:13), 08. Yuri Kasahara – Tears [OP Theme II] (2:01), 09. Looking for Something (2:15), 10. Complications (2:02), 11. Despair (1:50), 12. Remember Me (1:50), 13. For This Day (2:25), 14. Hanae Tomaru – Tell Me More [OP Theme III] (1:53), 15. Wakana Ootaki – Ordinary Dream (3:28), 16. Innocent Days (1:41), 17. Ominous (2:02), 18. Wakana Ootaki – Where My Story Begins [OP Theme IV] (2:16), 19. Yuri Kasahara – Walk on Your Destiny (3:35), 20. Where Are You Now? (1:52), 21. Dreamcatcher (3:19), 22. Yuri Kasahara – The Moving Era (2:09), 23. Going Against Your Mind (1:31), 24. Homecoming (1:59), 25. Hanae Tomaru – Faith (3:55), 26. Into the Light (2:31), 27. Peace in My Mind (2:15), 28. Historia: Closing Theme (4:00). 01. Yuri Kasahara – Until You Find a Light [OP Theme V] (3:21), 02. One Small Life (1:54), 03. Kalafina – Storia (3:32), 04. Chaotic (2:54), 05. Eri Itoh – Jubilee (2:00), 06. Noisy and Unrest (1:53), 07. A Forced March (2:19), 08. The Coming Ruin (2:12), 09. I am a Small Boat On a River (2:28), 10. A Will to Go [OP Theme VI] (2:08), 11. A Reckless Passion (2:20), 12. Yuri Kasahara – The Outbreak (2:18), 13. You Can Go Your Own Way (2:18), 14. Foreboding (2:20), 15. Eri Itoh – Mysterious (1:39), 16. Looking Back to the Past (2:07), 17. Bad Things That Should Happen (1:43), 18. Town of Vigor (1:50), 19. Creative Power (2:05), 20. Break Down the Door (2:41), 21. Must go Ahead, Somehow (2:14), 22. The Breath of the Era (2:11), 23. Yuriko Kaida & Kaori – A Fruitless Love (2:51), 24. 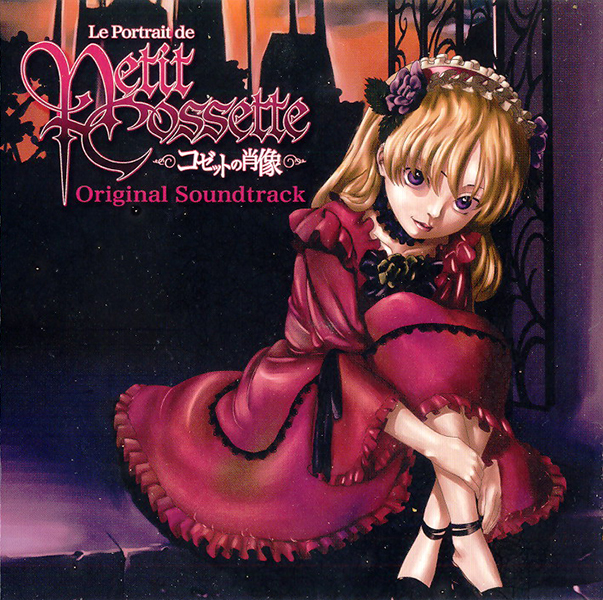 Eri Itoh – To the Next Door [OP Theme VII] (1:53), 25. A Tiny Light (2:24), 26. Kalafina – Symphonia [TV Version] (4:03). 01. Kalafina – Storia [TV Size] (2:06), 02. Yuriko Kaida – Forgotten Stories (2:37), 03. Tender Days (2:38), 04. Remi – Rising Up (3:07), 05. Make Your Resolution (1:50), 06. You Are Here (2:00), 07. Remi – A Door to the Past (2:28), 08. Dancing in The Age of War (1:51), 09. Forgotten Stories #2 (2:14), 10. Tidbit (3:08), 11. Yoshiwara (2:19), 12. Remi – A Long Goodbye (4:44), 13. Make up Your Mind (2:03), 14. Data-War (3:41), 15. Deadlock (2:35), 16. Fight it Out (2:35), 17. Progress (4:14), 18. Remi – My Land (2:57), 19. Distant Memories (2:11), 20. What She Has Left (3:36), 21. Kalafina – Yume no Daichi (4:01).